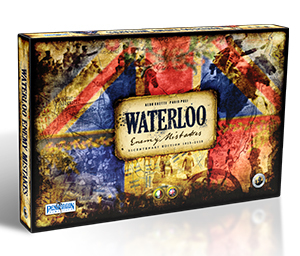 From the producing team that brought you Letters from Whitechapel™ and Kingsport Festival™ a brand new board game for the 200th Anniversary of the Battle of Waterloo (18 June 1815). 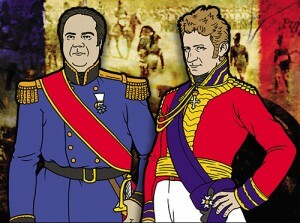 Waterloo: Enemy Mistakes™ is a strategic game about the immense last battle of Napoleon Bonaparte that forever changed the destiny of modern Europe, for 2/3 players, from 13 years old and over, for an average time of 150 minutes. Waterloo: Enemy Mistakes™ recreates, on the occasion the bicentenary of the battle, the clash between the British line-up, helped along by the Prussian army, and the French one. The players identify themselves with the Commanders of the armies: in two players one leads the Duke of Wellington, in opposition to Napoleon Bonaparte. To complete the main scenery there will be, eventually, a third player in representation of the fieldmarshal Gebhard Leberecht von Blücher, leader of the Prussian. 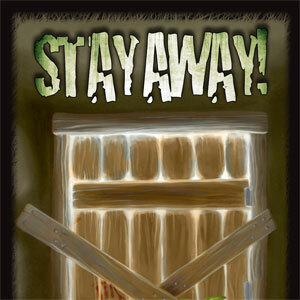 Waterloo: Enemy Mistakes™ allows the players to recreate or subvert the history of the important military fact that took place the 18th June 1815. Waterloo: Enemy Mistakes™ was developed by the authors in a decade to allow players to make important decisions (like giving orders, activate units, maneuver them and support them during ongoing attack to make them even more effective) without having to worry about small tactical matters. In Waterloo: Enemy Mistakes™ players fight an immense battle: 3 Commanders in Chief give instructions to the 14 Generals, who leads 141 Units (corps of artillery, foot soldiers and cavalries) on the big battlefield. 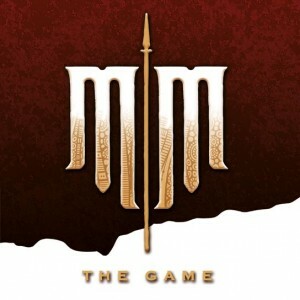 The game uses a die as a random factor, but the focus of the gameplay emphasizes above all the elements that characterize the commands and the decisions the players have to do. Componenti: 2 game boards (518x694mm), 3 punchboard, 6 dices, 153 wooden cubes, 1 cylinder marker, 1 rules booklet. He holds a degree in statesmanship and he’s a functionary in Faenza (Ravenna) where he lives happily with his wife Anna and his children Giada and Fabio. Born on the 1st May 1952, he started really early to play with miniatures and then he became one of the most important experts of war-games. He was for a long time Magistrate of the Niballo Joust and also judge of many merry-go-rounds and “palii” all over Italy, but he also officiated as the President of the technical management of the Italian Federation of Historical Games. He published many articles concerning History and war-game and the passion for the miniatures lead him to the development of many game system. He was born in Faenza (Ravenna) on the 22nd January 1972. He has been passionate about miniatures and History since he was a child and, when he grew up he found in war-games the right way to follow-up a big fascination of his. When he was in twenties he became part of an interesting cultural group of fellows citizens, where he finally met other people who had the same interests as him: here he met Aldo Ghetti. Meanwhile he finished his liberal arts studies, continuing with a degree in Psychology and then a major in Psychotherapy. Nowadays he’s engaged in social works and he has recently published the intriguing psychological novel Con le Mani nelle Cimici. Waterloo (1970) film trailer direct by S. Bondarchuck with R. Steiger, C. Plummer and O. Wells. Spring 1815. Napoleon Bonaparte, after fleeing the Island of Elba, returns to the command of France. The Seventh Coalition, a military alliance between the English, the Prussians, the Austrians, and the Russians, is mobilizing the army to confront him. Napoleon, with an army drafted from the northern border of France (the so-called Armée du Nord), starts an offensive with the intent of defeating the four different armies, separately, away from one another. This plan consists of driving a wedge between the Prussian and English army, to chase away the former and annihilate the latter. June 18, 1815, 9 o’clock, 5 kilometers south of Waterloo, in Belgian territory. The army of Arthur Wellesley, Duke of Wellington, composed of 68,000 English, Dutch, and German soldiers is deployed behind a hill crest, waiting. Napoleon, with the force of 72,000 French soldiers, studies the battlefield that has transformed into a morass, following the previous night’s storm. He must delay the attack, hoping that the terrain dries; otherwise, the artillery will lose its efficiency. Time: 11:30, he cannot wait any longer. The French cannons start the bombardment, and the last of Napoleon’s battles. The battle lasted more than eight hours, and the losses were devastating (more than 15,000 Englishmen, 7,000 Prussians, and 25,000 Frenchmen): in the end, Wellington’s army wins thanks also to the entrance of General Blücher’s Prussian army. Napoleon flees from the battlefield, unscathed, but the defeat marks his end: on July 15, he surrenders to the English army. He is arrested and exiled to the island of Saint Helena, in the middle of the Atlantic Ocean, where he dies on May 5th, 1821. This is what History dictates, but now it is your turn: Waterloo: Enemy Mistakes turns back the clock to 11:30 of that morning and gives you the command of the armies on the battlefield. Now you have the exciting privilege to walk in the shoes of great generals and rethink their strategies, modify their tactics, and correct their mistakes. Waterloo: Enemy Mistakes is a board game for 2-3 players, ages 13 and up, that allows you to play as the protagonists in one of the most crucial chapters in European history. 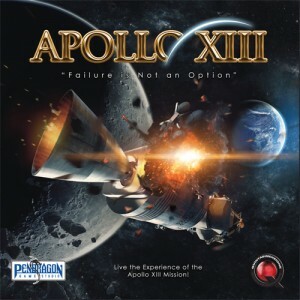 Updated on 2015-11-23T13:32:42+00:00, by pendragonadmin.